Whether you are going on your annual holiday or a business trip; a day trip, a globe-trotting tour, a backpacking adventure; or are planning winter skiing or scuba diving; we arrange cover to suit you. Choose “Instant Cover” to BUY NOW, or “in-Depth Quote” so that we can take a personalised look at your insurance needs. Generally these cover anything from 1 day up to 2 months – this is usually the best option to take. It is better to have some cover rather than none at all. If you need medical treatment not all countries have our NHS type treatment. Even a relatively minor injury could cost £1,000’s. One of our insurers recently paid out over £1.2M in medical expenses for a heart related claim for a client in the USA. 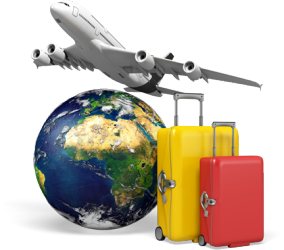 If you intend to be abroad for at least 2 months then this type of policy offers the most cost effective solution to your insurance needs. Policies can be arranged with or without cover for baggage with discounts being given for this exclusion. If you fall into this category it may be worthwhile considering an annual contract that could cover any number of trips in the course of the year. Often this will work out more cost effective than arranging a new policy for each individual trip.